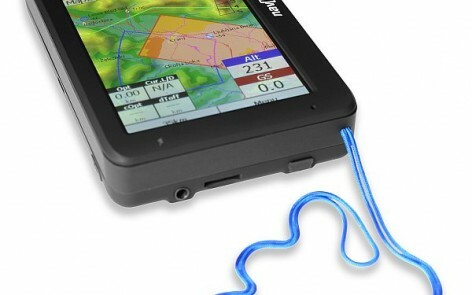 Oudie 4 is top-notch Vario and Navigation device for Competition and XC Pilots. It is easy to use, requires no installation and works right out of the box. Oudie 4 has a bright LCD which is a significant improvement over the standard colour LCDs available in similar devices elsewhere. The screen has an anti-glare coating and is nicely sunlight readable even in direct sunlight. The touch panel can be operated with gloves, no problem. New vario: Now assisted by inertial sensors (gyros, accelerometers and magnetometers). Contrary to our initial expectations the inertial vario - when done right - is a real benefit and does provide additional information to pilot through its instantaneous response without being nervous or too sensitive. New wind: The new sensors (and clever use of the Kalman filters if you like) allowed us to improve wind prediction considerably. In the best case scenario Oudie 4 will give a useful wind estimate already after a single 180 degree turn on the ridge. It also works at wind speeds higher than your airspeed. Additional turns make the prediction better of course. There is even lots of room for improvement of this in the future. USB port has moved to the bottom which gives a small benefit in that it will be possible to charge the Oudie 4 with a regular mini USB cable and a Battery Pack – something that’s not possible with the Oudie 3. Some of the minor features are still in development so a detailed comparison table and descriptions will follow later. Upgrading the firmware on the Oudie is as simple as downloading one file from www.naviter.com, saving it in the root of your Oudie's Resident Flash memory and resetting the Oudie. 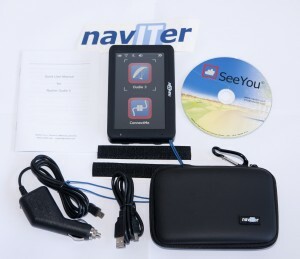 Single installation updates everything - navigation software, firmware, maps, airspace files, everything.